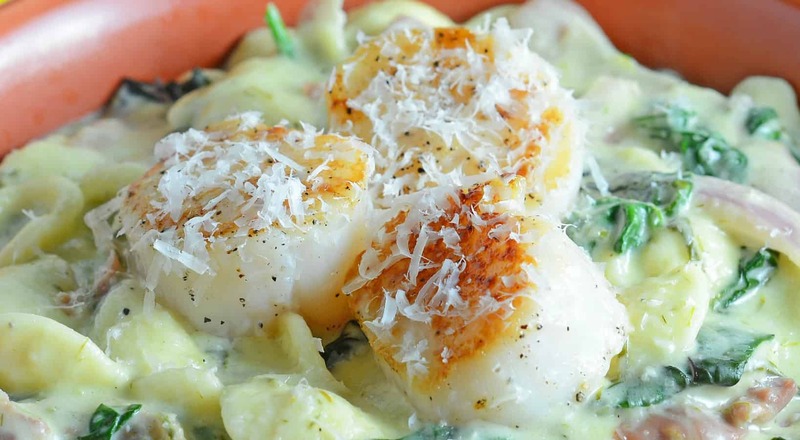 Scallion Pesto Scallop Pasta with Swiss chard is one of those “special night” meals. It originated from Fine Cooking magazine, although I’m told it might be out of print now. The original recipe for Scallion Pesto lacked flavor and didn’t include any protein. 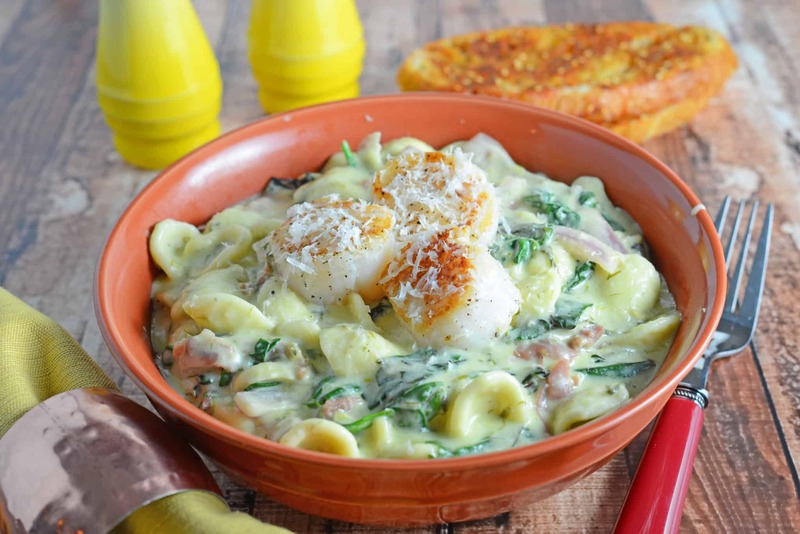 Scallion Pesto Scallop Pasta is a restaurant quality dish, creamy pasta sauce with garlic, Swiss chard, prosciutto and seared scallops. 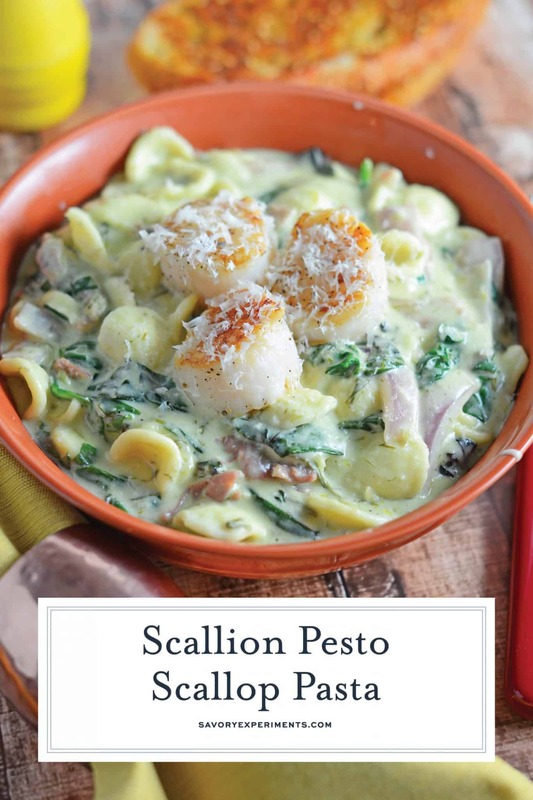 After we added additional garlic, red onion and seared scallops, Scallion Pesto Scallop Pasta quickly became one of our favorite dishes.Worthy to grace the table of a fancy restaurant and certainly a dinner party, it is still easy enough to make at home taking only an hour from start to plating. Swiss chard is a leafy green vegetable, it is actually a member of the beet family. It is vibrant in color and has a distinct taste that is closely matched to spinach. In fact, if you can’t find Swiss chard, go ahead and substitute spinach. 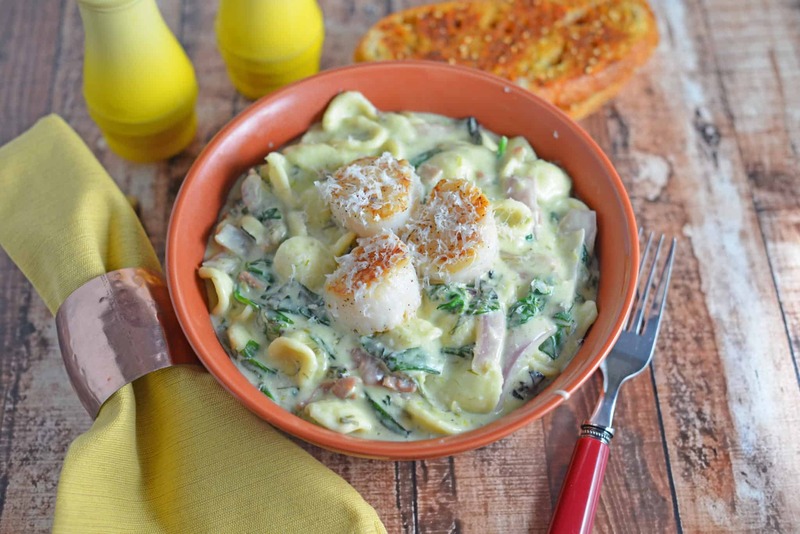 Orecchiette is a perfect pasta for scallion pesto, or any pesto for that matter, because it acts like a little bowl cradling the sauce. 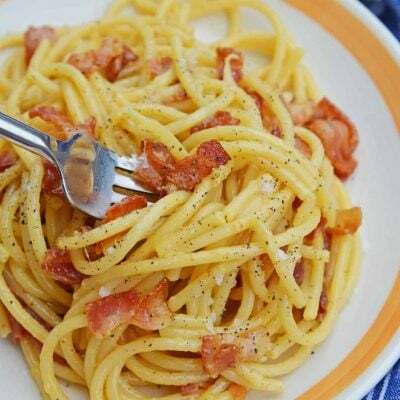 Don’t think just any sauce can be matched with any pasta. 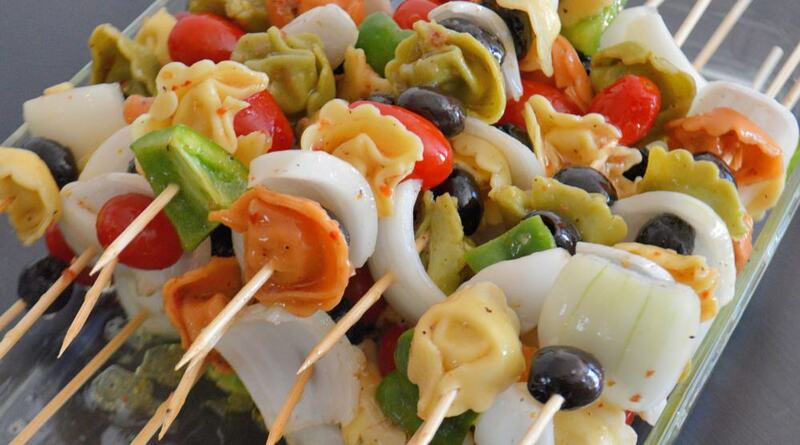 There is an art and a reason why there are nearly 500 pasta shapes available! For our protein, I opted to use scallops. 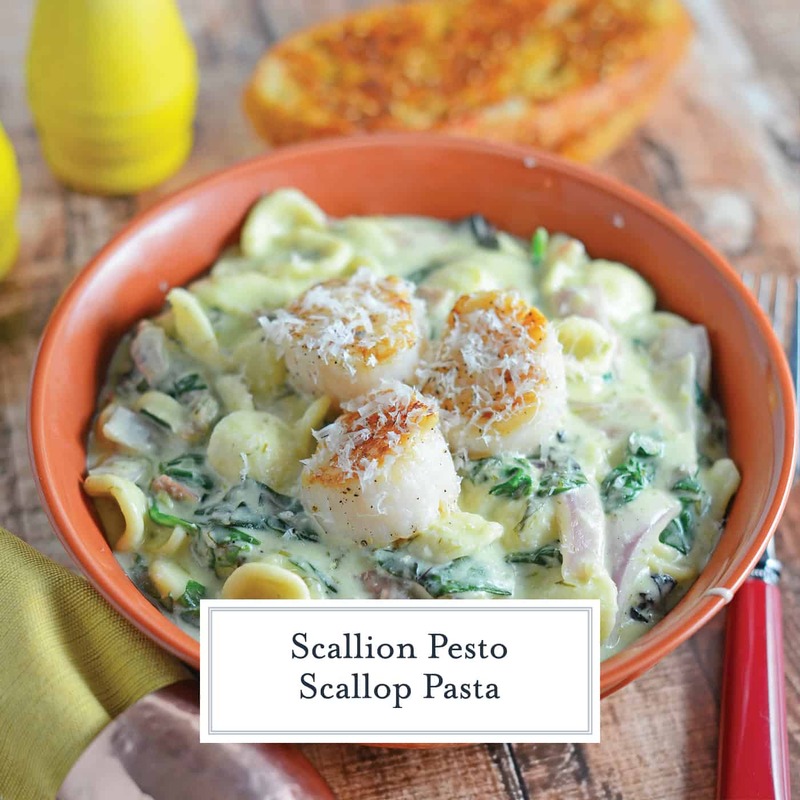 Scallops are mild enough that they won’t overpower the flavor of your scallion pesto. I understand many folks are intimidated by making scallops at home. Don’t be! The key is starting with a good quality, dry-packed scallops. What does dry packed mean? Simply that your scallop wasn’t submerged in water for its journey from the sea to you. Osmosis takes effect and the scallop with bloat to an unnatural size. I’m sure you’ve been the victim of buying the largest, meatiest scallops out there, only to come home to cook them and they shrink to bay scallop size. My foodie friend, you’ve been duped by the water packed scallop. And you also paid for all that additional water! Simply ask your seafood clerk if they are dry packed or not. I can find dry packed at Whole Foods. Secondly, people over cook and over think the searing of scallops. Pat dry, making them as dry as can be and use very little oil, or none at all, in a cast iron pan. This is prevent any pooling of excess liquid, preventing you from getting a good crust. Heat the pan to smoking point and add your scallops. Do not move them. Let them get a good char in. In about 1-2 minutes, depending on the size of your scallop, turn them over for another 1-2 minutes. Remove and allow them to set for 2-3 minutes before serving. 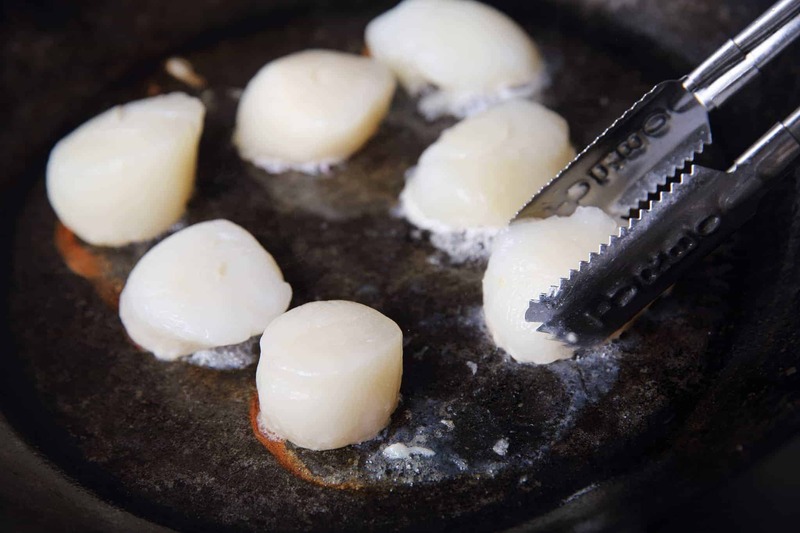 Scallops get rubbery when cooked for too long. But if searing scallops still intimidates you, you can always substitute grilled chicken, shrimp or of course, keep it vegetarian! Your Scallion Pesto will be delicious any way you put it! 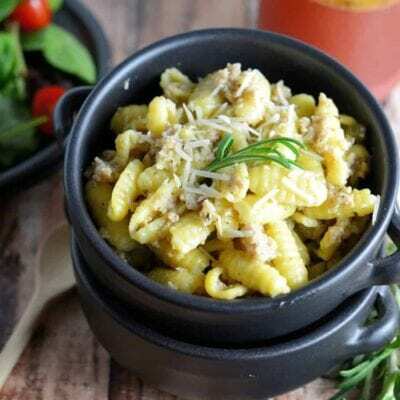 Mini Food Processor– I use this thing daily! It is by far my most used kitchen appliance, it is small and I throw all the parts into the dishwasher, well except the base and cord, of course! Cast Iron Skillet– Yes they are heavy, yes they take a little extra TLC. Are using cast iron pans worth it? YES!!! Just buy one and you’ll thank me later! I have both pre-seasoned and unseasoned. I like them both for different reasons. Cheese Grater– Another item I didn’t think I needed, but love. Parmesan cheese lasts longer and tastes better when freshly grated. 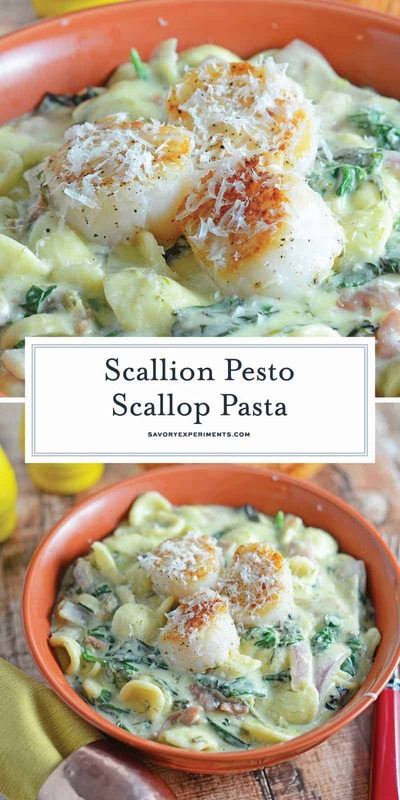 If you loved this Scallion Pesto and Scallops, you might also like these other seafood pasta recipes! 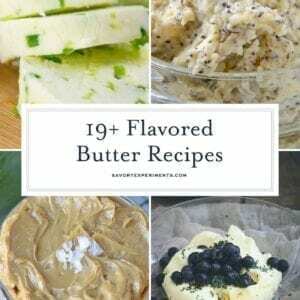 Melt butter in a medium sauce pan over medium heat. Add scallions and 5 garlic cloves thinly sliced. Sauté for 5 minutes or until contents start to lightly brown. Add white wine and simmer over moderate heat until reduced slightly, approximately 1-2 minutes. Let cool slightly before pouring into small food processor. Add 1/3 cup water, salt and pepper. Blend until a pesto consistency. Set aside. In a large pot boil well salted water and cook orecchiette until al dente, approximately 10-11 minutes (or according to package). Strain and set aside. In a small bowl, whisk sour cream, heavy cream and cream cheese until fully incorporated. In another small bowl mix corn starch and 1 tablespoon water. Set aside. Rinse scallops and remove the small muscle on the side. Pat dry. Season well with fine sea salt and freshly ground pepper. Heat a large frying pan or cast iron pan with olive oil over medium-high heat. 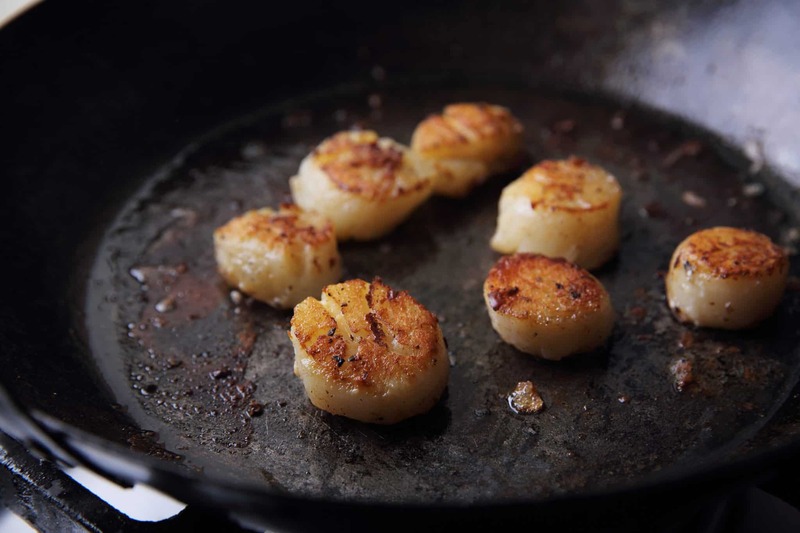 When oil is hot place all scallops into the pan. Do not stir. Let them cook in the exact same spot for 2-3 minutes covered or until lightly browned. Using a large spoon or ladle, remove the excess liquid from the pan. Scallops have a lot of liquid and if you don’t remove it you will not get the nice brown outside. After removing liquid, flip scallops and cook for an additional 2-3 minutes covered. Do not over cook. They get rubbery and dry. In the same large pot you boiled the water in, add red onion, Swiss chard, spinach, cook 2-3 minutes over medium heat, or until leafy greens start to wilt, but are still firm. Stir in pesto mixture and chicken broth. Add cornstarch mixture, stirring well and then cream mixture. Toss in prosciutto. Lastly, toss pasta into the pesto and greens. Top with Parmesan cheese, Maldon sea salt, freshly ground pepper and scallops. Enjoy! We love scallops, but I am absolutely fascinated by this pesto. I never tried a scallion pesto before. Pinning this to save! Great! Let us know how you enjoy it! 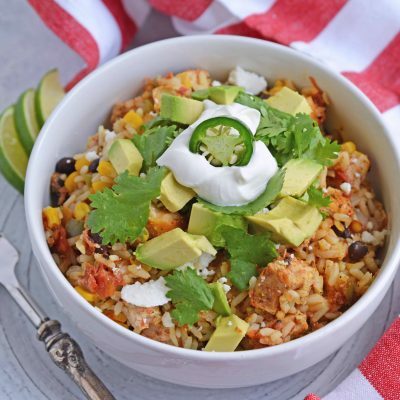 I absolutely love the creaminess and savory flavors in this dish! Yum!